High Capacity 3-speed fan provides air circulation and cooling throughout the trailer. 18” fan rated for 3000 cfm. 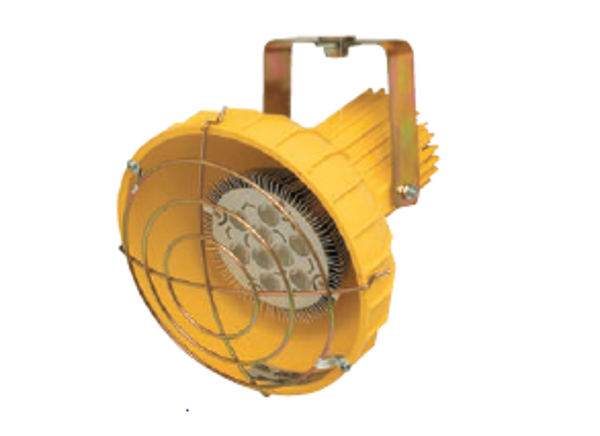 Each fan is supplied with a “Y” cord that enables the fan to be used separately or in conjunction with all Tri Lite dock light heads. It features a rugged, flexible stainless steel arm with a steel elbow for simplified positioning and durability. The polycarbonate light head remains cool to the touch. 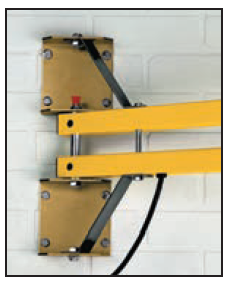 The FLDL series dock light combines the strength of a standard dock light arm with the added flexibility of an impact absorber that bends the head away when bumped by a moving forklift or dock door. 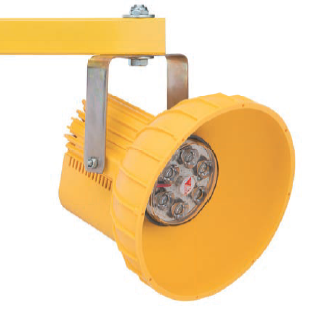 The DSDL series dock loading light provides the double strut design of the DL series along with the vertical and horizontal adjustability of the SDL series for a great combination of strength and versatility. Optional heavy duty mounting bracket. Provides additional support. Should be considered when mounting longer (90”+) arms and when fan units are added. Unique, patented polycarbonate head coupled with our L1 LED module illuminates trailer interiors with focused, cool white light while providing energy efficient illumination in a durable package that withstands harsh loading dock environments. Virtually indestructible! The HDLED is designed for the most demanding environments including wet and damp locations. Traditional, powder coated metal light head coupled with LED module illuminates trailer interiors with focused cool white lighting. Energy efficient design. 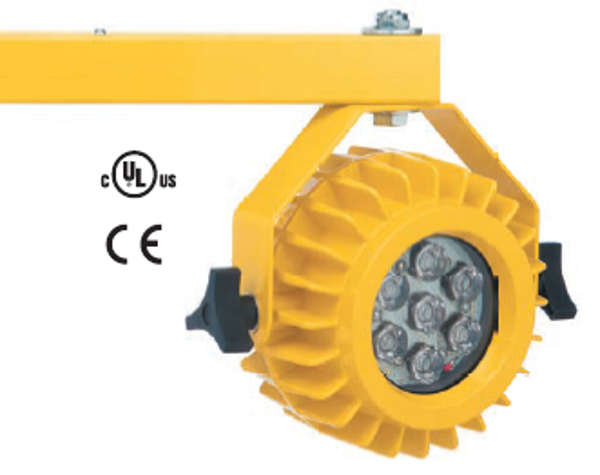 The SDL series is an economical lighting solution for low to mid volume loading docks. The arm features a hinge that allows both vertical and horizontal adjustment of the arm. Wire guards are available for Polycarbonate, Metal and Gooseneck Light Heads. Wire guards, when used with recommended bulbs, can prevent fires. 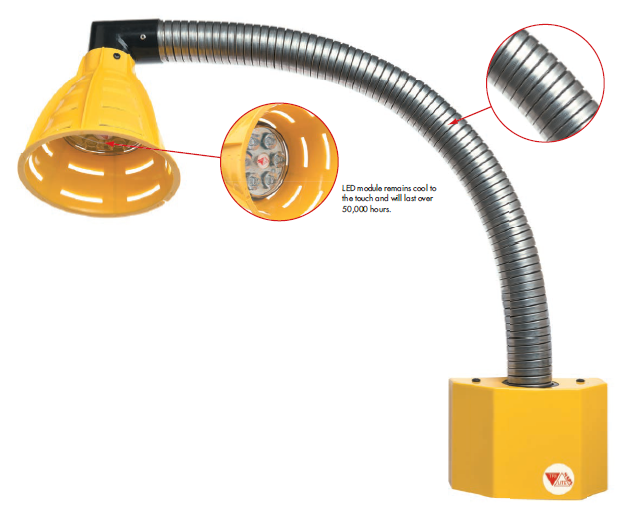 Guards also reduce chances of objects penetrating light head face and damaging the bulb. An optional security kit is available for use with polycarbonate light heads to deter unauthorized removal of bulb. 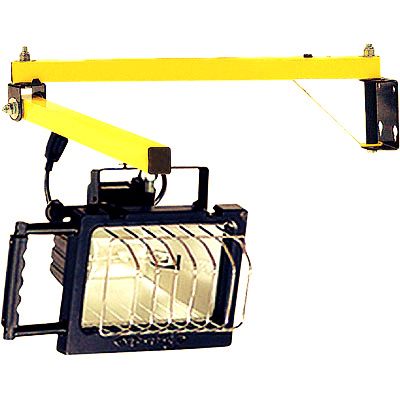 The DL series is the standard in loading dock light arms. Dual struts give this arm the strength to survive in the busiest and most demanding warehouses. 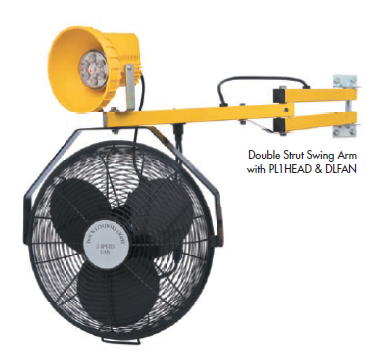 The dual strut design will also support a fan or light/fan combination. 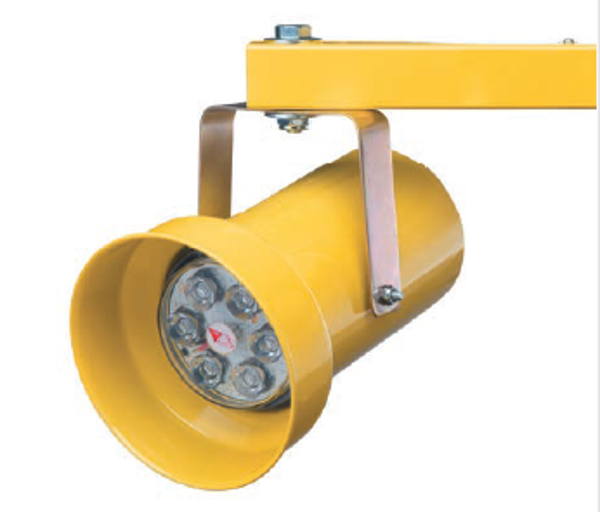 Loading Dock, Inc. offers durable, high quality industrial-grade dock lights. Loading Dock lights and safety products are the standard for warehouse dock illumination and traffic control communication. We offer tools you need to increase efficiency and provide a safer work place for your employees. All TRI-LITE Dock Loading Lights offer excellent design, construction and performance. Choose the model and accessories that will give you the best illumination for the job at the best cost. When greater inherent strength, and the need to hold a horizontal position is required, the double strut model is a best buy. Double Strut models offer all 1 1/2" 14 gauge square tubing to prevent sagging, bronze sintered bearings at all rotating points, and adjustable pivot friction to maintain any intended position. The lamp head and struts are finished in a baked-on safety yellow. Take advantage of more light from the same sources or use fewer lamps to give you equivalent illumination. Any of our Dock Lights are available with High Pressure Sodium heads, offering 500w power and 24,000 hours of life with an energy use of 50w. Save money and add efficiency at the same time. Safety yellow baked-on finish to match all other lamps. Add the convenience of air cooling to intensely warm work areas on all DL series lights. 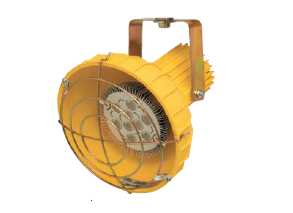 A fan will attach at the same fitting-point as the lamp head and will not require any drilling or machining. Fan weight will not affect lamp strut stability. Bracket is finished in baked-on safety yellow to match lamps.